Decks & Docks, Outdoor Shade, Patio Bars & Kitchenettes, Home Remodeling and More...We began on North Padre Island in 2003 with a vision: "Offer a quality product with the best materials available, outstanding craftsmanship, on time start/finish dates, product reliability, reasonable prices, and best of all, a guarantee of follow-up service and dependability." We offer 28 years of construction experience and are dedicated to giving you a product you can proudly display and feel satisfied that you received what you envisioned. Our reputation depends on your satisfaction and if history holds true, most of our work comes from word-of-mouth and not advertisements. 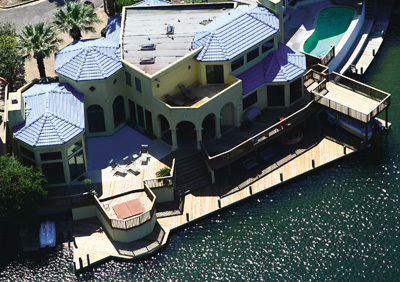 When you decide it is time to plan your dock or remodeling project, give us a call and we will gladly accommodate your schedule to meet and go over your needs. We offer free estimates, free advice but most of all, we listen to what you are looking for and offer recommendations that come from years of experience on North Padre Island. Copyright © 2009 Decks and Docks North Padre LLC, All Rights Reserved.